Every 4 - 6 weeks during your orthodontic treatment, you will need to attend an adjustment appointment at our office so that we can tighten and adjust your braces. 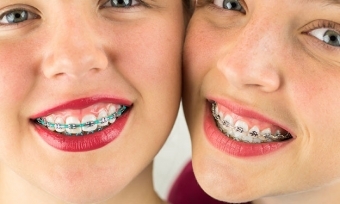 We know: ‘tightening’ your braces does not sound like a very pleasant undertaking. But not to worry! It’s not as bad as it sounds! In fact, the word ‘tighten’ isn’t a completely accurate description of this procedure. Really, we're just adjusting the pressure of your braces by tiny increments to move your teeth into the desired position. First, the orthodontic assistant will first remove your elastics to expose the archwire. The archwire is then removed. You;re likely to feel a little tender and sore following your adjustment appointment. This should fade after a few days at the most. In the meantime, you can ice your face on and off, or use an over-the-counter painkiller to help you deal with whatever discomfort you feel. You also may also find it easier to eat only soft foods during this period. If you notice that your archwire starts poking the inside of your mouth at some point after your adjustment appointment, come see us straight away, and we can clip it shorter for you. If you have any questions or concerns regarding adjustment appointments for your braces, get in touch with Vancouver Orthodontics today!